See also Pentium GOLD, Core i5, Core i7 and Core i9 CPUs. The Intel Core i3 processors redefine mainstream desktop PC performance with up to four cores for more processing power — that's two more cores than the 7th generation Intel Core i3 processor family. DDR4 RAM memory technology support, which allows systems to have up to 64 GB of memory and up to 2400 MT/s memory transfer speeds. Intel Core processor-based desktop platforms are loaded with new and enhanced features to deliver amazing experiences that five-year-old systems can't handle. The Intel Core processor family is a great investment in your desktop experiences—whether for gaming, entertainment, or general-purpose computing wherever your life takes you. 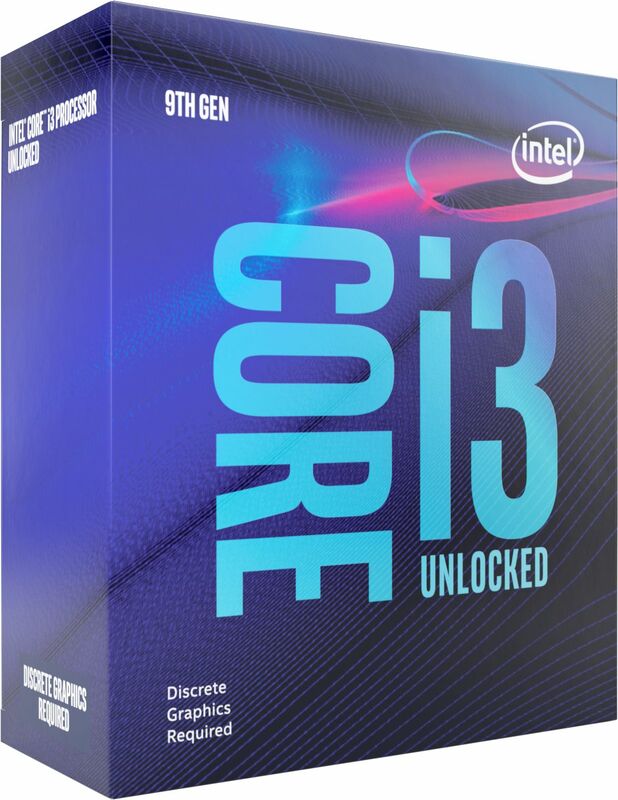 From the jaw-dropping performance of the Intel Core i7 processors with eight cores to the practical capabilities of the Intel Core i3 processor, Intel's generation of desktop processors fits a wide range of budgets and needs. Whether you're a performance-hungry professional, an exceptional enthusiast, or a first-time buyer, there is an Intel Core processor that will enable the experiences you seek. If form factor is your priority, the Intel Core processor family offers a range of processors designed for desktop PCs from high- performance gaming towers, to slick, and stylish all-in-ones, to compact living room minis.